Arraignment: The arraignment is the first court appearance where the defendant appears before a Judge or Magistrate to have the formal charges read and a bail bond set. It is typical for Michigan courts to conduct the arraignment via a video conference system. The arraignment hearing must be open to the public. Pretrial Hearing: A hearing before a district court judge in misdemeanor cases at which the judge must determine whether there is sufficient evidence to believe that a crime has been committed and the defendant committed the crime. At this time a defendant will have an opportunity to enter a plea and a trial date can be set. 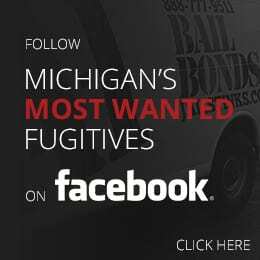 Fee (bail bond fee): In Michigan, the state regulated fee is ten percent of the bail bond liability. Liability: The actual amount of bail bond money the bonding company must provide to the court. This amount will vary depending on what type of bond is set by the court. 10% Deposit Bond: If the court allows, the defendant or anyone may post, with the court directly, 10% of the full face amount of the bail set by the court. The court will keep 10% and may also keep fines, costs and restitution out of the deposit before it is returned to the depositor. Cash/Surety Bond: This is when the court requires the full amount of bail to be paid to the court in Cash or you have the option to post the full amount of bail through a licensed bail bond agency. If you chose to go through a bail bond agency, the bail bond agency must provide the court with the full amount of bail in the form of a surety bond. Surety Bond: This is what the bail bondsman or bonding agency provides to the court to assure the appearance of the defendant. In simple terms, think of it like a certified check for the full bail amount. The court gets the money if the defendant skips court. The bonding agency must bring the defendant back before they can get their money back from the court. Bail Bond: The means of assuring the appearance of an accused defendant to all their court appearances.